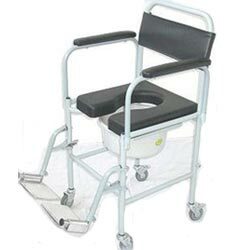 The Taxi Commode is made from high tensile, epoxy coated, mild steel. Supplied standard with a high quality waterproof PU seat. 4x75mm castors (2 rear wheels have brakes).